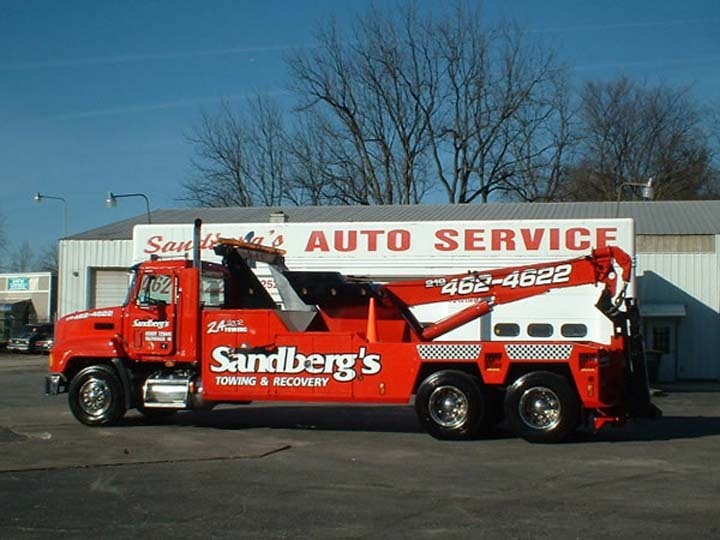 Sandberg's Service Center in Valparaiso has been a family owned business for over 45 years. 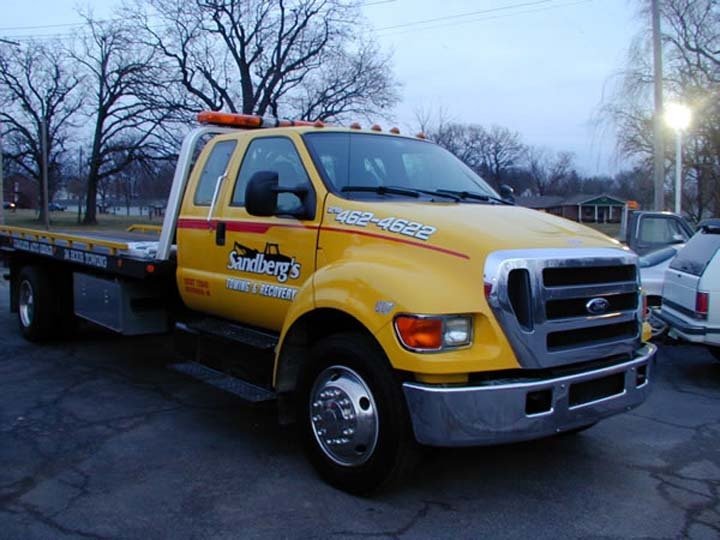 It was back in 1973 that Standard Oil gave John Sandberg the opportunity to open a gas station on East Lincolnway. 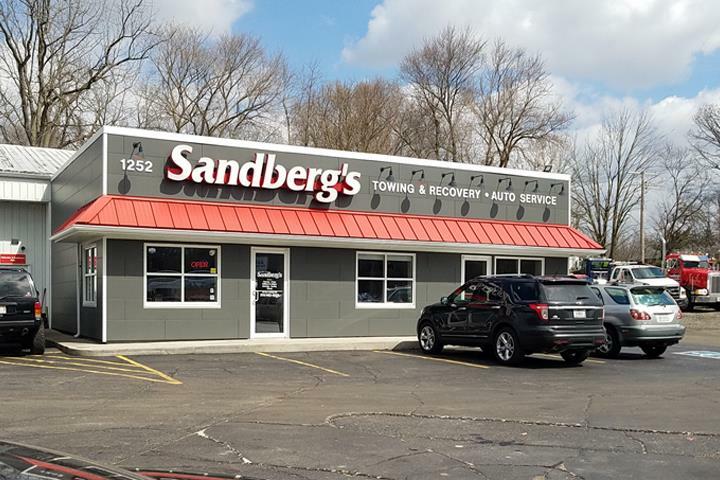 The shop was relocated to its present location of 1252 W. Lincolnway. John retired in 2005 and has turned all operations over to his two sons Chris and Ryan. 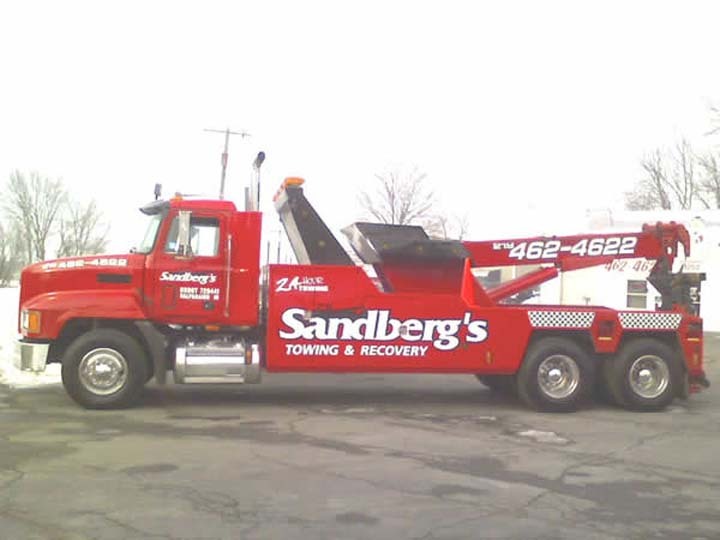 Sandberg's has light, medium and heavy duty wreckers and also a repair shop for domestic vehicles, light trucks, and foreign vehicles. 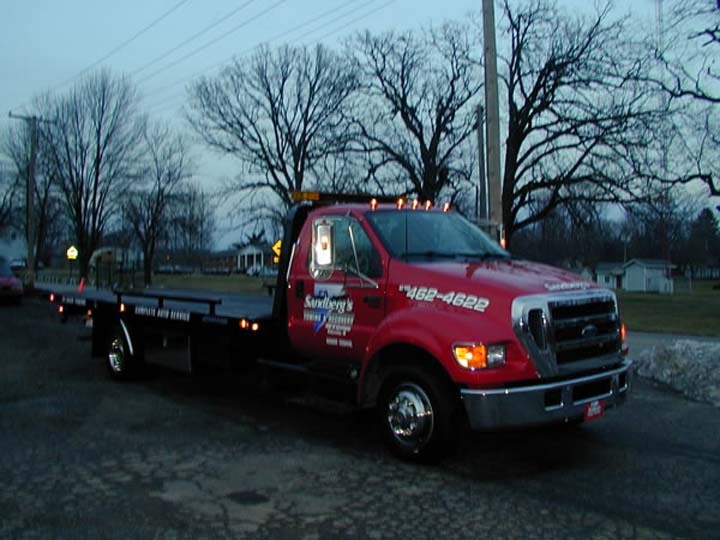 We are able to tow anything from passenger vehicles, light trucks, up to semis and buses. 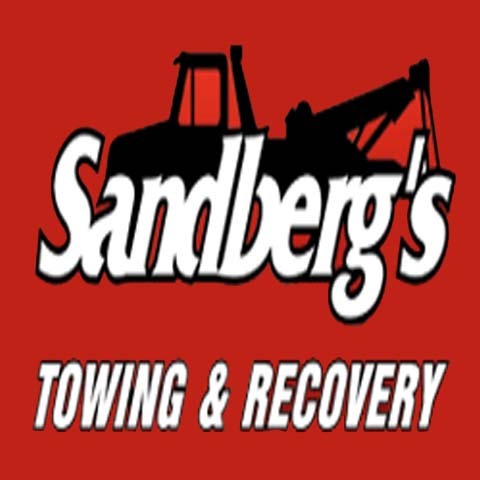 For all your towing and auto repair needs, contact Sandberg's Towing & Recovery in Valparaiso today.